Pinnacle Studio 19.1.2 - download in one click. Virus free. Pinnacle Studio is available for download without registration. It comes with a safe official web installer for Pinnacle Studio. 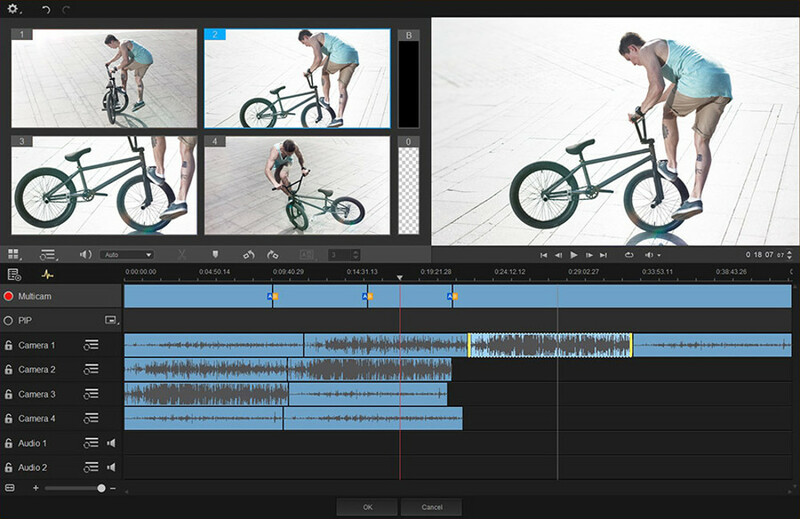 Pinnacle Studio is a non-linear editing package that provides the features both amateur enthusiasts and experienced video creators will find indispensable. It's a full set of audio, video, green screen and online tools that can help you bring your media project to life. The program's interface is simple enough and lets you get a hold on controls and tools pretty quickly. You can engage in multi-layered editing, add effects, work with audio files, enhance, adjust and re-arrange elements of the project to create the video you need. There are standard options to crop, pan and zoom, and clean up your clips, drag and drop elements, apply selected effects from a library of over 1500 of them. More advanced features include multi-camera editing, allowing you to screen footage from several cameras, switch angles in a resulting video using both sources, cut and delete parts, add transitions and align clips with Audio Syncing. Aside from effects, the program has access to a library of audio samples to help you enhance the project without third-party elements. There's even support for green screen effects if you want to create something really special. 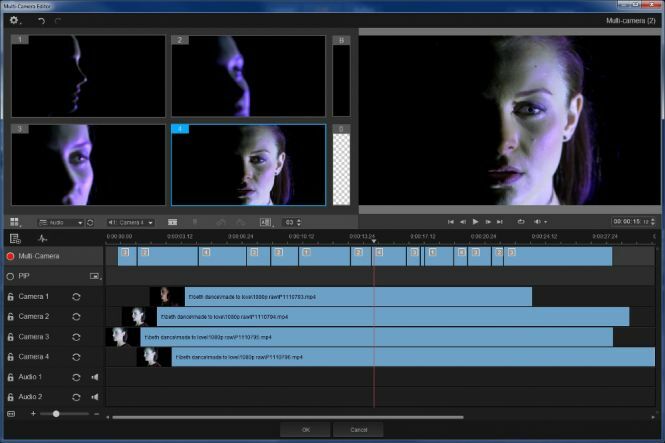 Finally, when you complete the editing, you can share your video online or burn it on a DVD with the built-in tool. Pinnacle Studio is a very competent editor. It's stable, easy to use, compatible with many file formats including HD, provide very useful features and can even function in sync on all your devices used for editing including iPhones. Great selection of samples and templates.